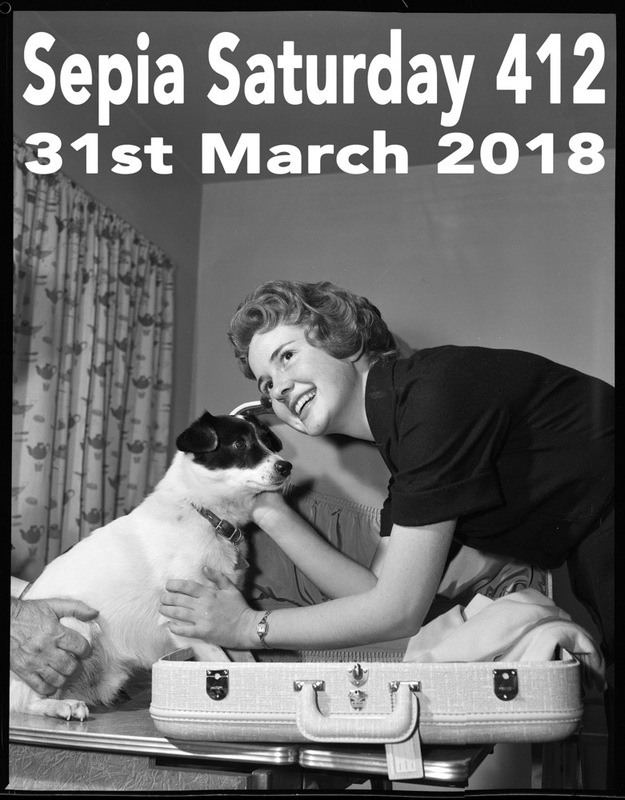 Our Sepia Saturday theme this week is a real beauty - incorporating travel, luggage, dogs and competitions. You could also include curtains, tables, and decapitated hands (if that is not a contradiction in terms). Whatever you find in our weekly theme image all you need to do is to give us an old image and tell us a little about it - however obtusely it may - or may not - be connected to the theme. 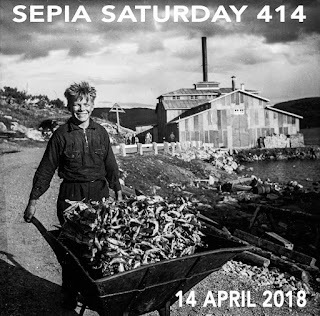 Simply post your post on or around Saturday 31st March and add a link to the list below. Oh, and now I come to think of it, you might want to feature a beauty queen (or, indeed, king) as well. 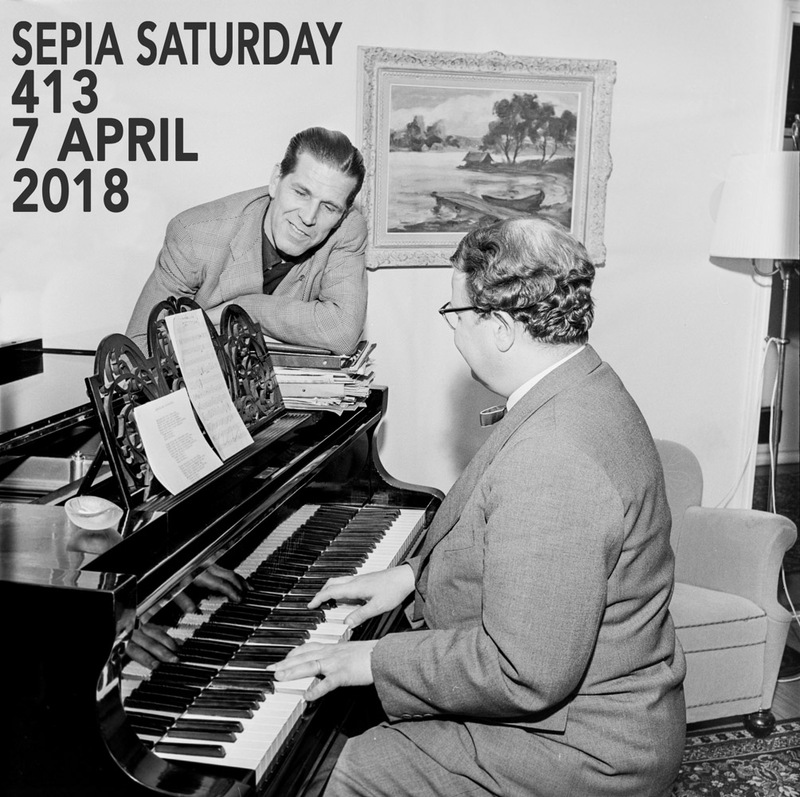 Whilst you are thinking about that, take a moment to see what is around the Sepia corner in the first part of April. 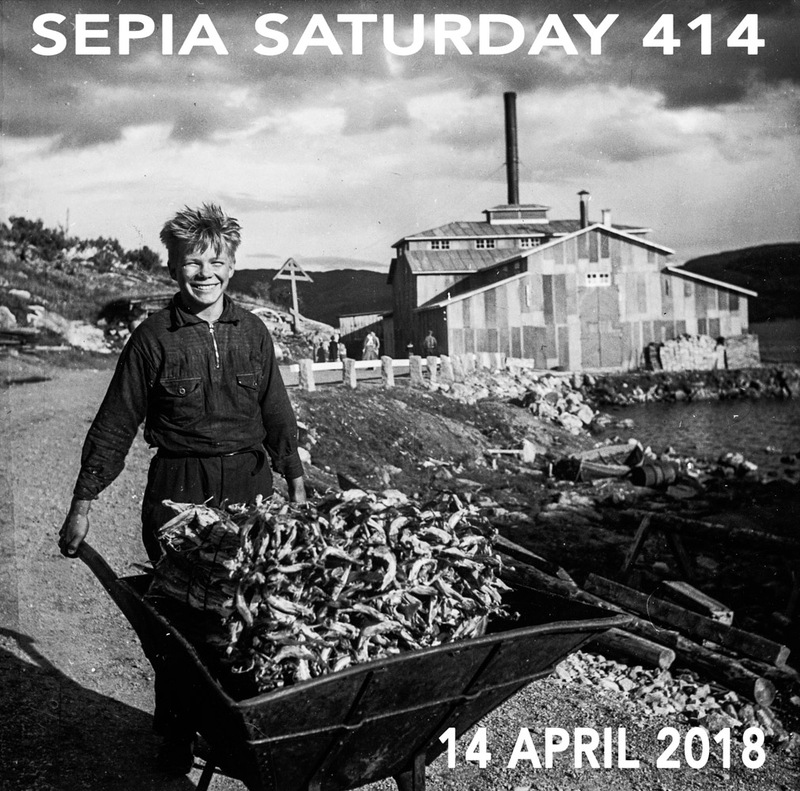 From beauty queens to fat old men to barrow loads of dead fish: all human life is here at Sepia Saturday. Going on a trip, all dressed up...what fun! Packing and repacking, as my great-grandfather and his family moved, and moved again, around the city of Baltimore, MD. I'm going on a trip and I'm going to take . . .
Few words this week. A picture and a thousand words. My link was faulty this week, like my lethargic brain. Number 8 works, number 5 goes nowhere. It's still Saturday so I'm not late. I've got on offer a big dog and a very big story. Musical of course but the dog story is the finale. WHAT'S GOING ON??? ALL THE NAMES HAVE BEEN REMOVED FROM ALL THE POSTS??? I'm late, I'm late! And I'm off topic.